Latest Posts: How do you like it? Re: Latest Posts: How do you like it? ah lol i never noticed it since i mostly check the forums through my phone. dont you think it'd be better to move it to the left side next to the others?" Best way to check the forum. I see Roel shared my suggestions with the staff. Glad to see you're taking it seriously. Last edited by Careless on 02 Jun 2015 13:44, edited 2 times in total. Best way to check the forum. Never looking at the bottom screenie, though I know it`s there. Why to scroll down to see few latest posts, when with 2 clicks I can view all, and not miss anything? 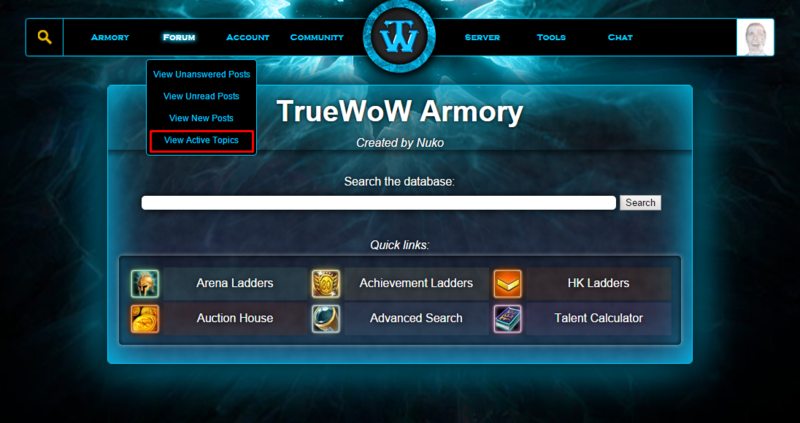 Edit: As for new players, I think whenever they`d like to get some information, they go straight to the forum via forum tab. Sometimes even before checking any other sources of information that one can find on our page, what we could see from all the posts `hey I`m new to server and I have few questions, but I`m too lazy to search around, and I`m for sure not gonna look up similar threads even if they were made few days ago` or something. So not useful to them either.